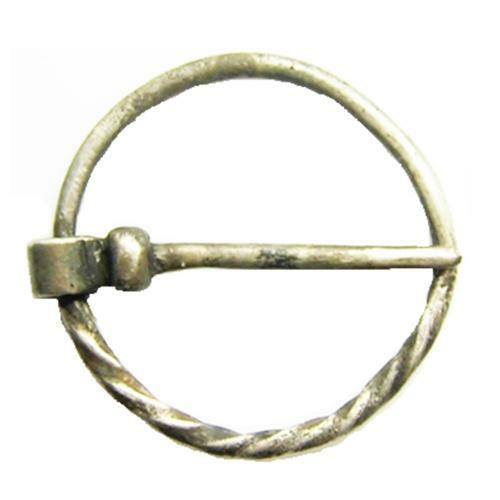 This is a charming medieval silver ring brooch, dating to the 13th - 14th century A.D. It is formed from a rod of silver, partly twisted to give contrasting design. The brooch is intact with the original pin, with a knobbed collar. Such brooches would have been used to secure clothing, before the use of buttons.It is a nice example, from an old Essex collection. PROVENANCE: Ex. C. Turner collection, Essex.